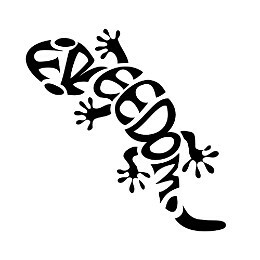 Emanuele requested a stylized gecko made by the word "freedom". We thought of composing the body using the letters of the word while drawing the tail as an exclamation mark. 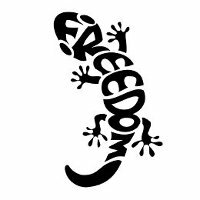 Geckos are the symbolic animals of climbers in addition to being powerful amulets (they symbolize health too) and every climber knows the sense of freedom that comes along with conquering a mountain top.